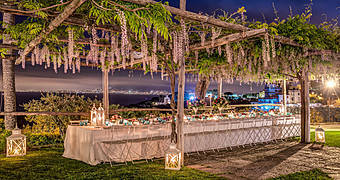 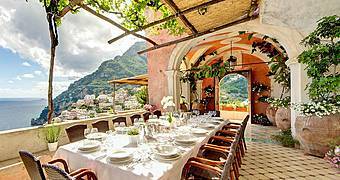 Al Mulino: a historic farm near Anacapri tranformed into a hotel surrounded by the colors and scents of the island countryside. 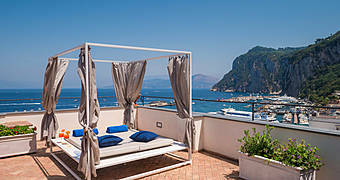 Grand Hotel Quisisana is the most prestigious luxury hotel on the island, located in the heart of Capri just a few steps from the Piazzetta. 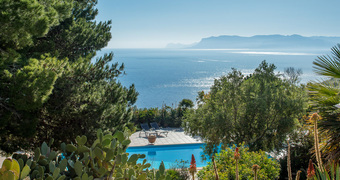 Surrounded by beautiful scented gardens, Villa Ceselle is a typical island home recently transformed into one of Anacapri's most romantic and intimate 3 star hotels. 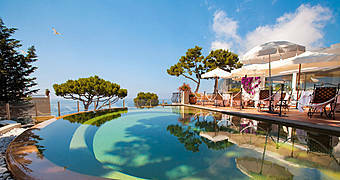 Casa Morgano is a gorgeous boutique property overlooking the sea and the Charterhouse of Capri. 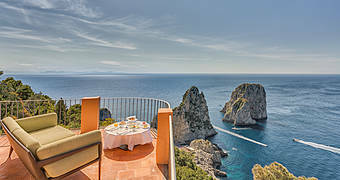 La Scalinatella is a luxurious boutique hotel offering world class hospitality and a view over the Mediterranean that will take your breath away. 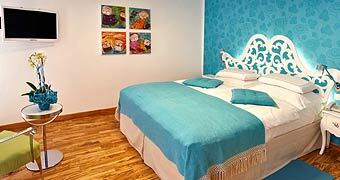 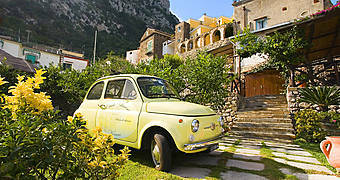 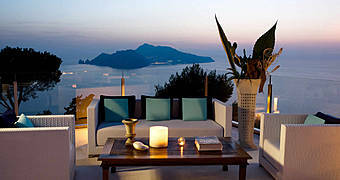 La Minerva is an intimate boutiqe hotel in the historic center of Capri. 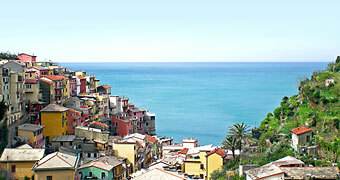 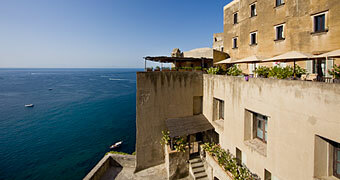 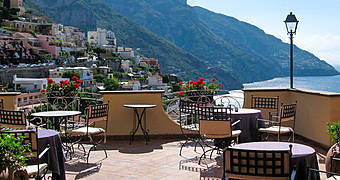 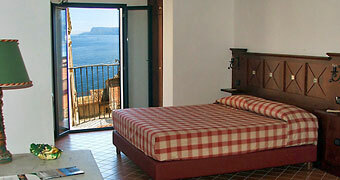 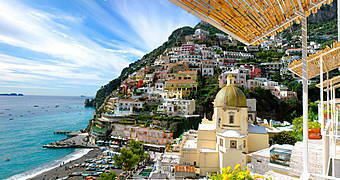 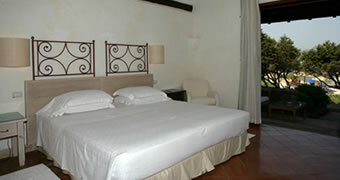 Attractive bed & breakfast accommodation and self catering apartments in the picturesque port of Sorrento. 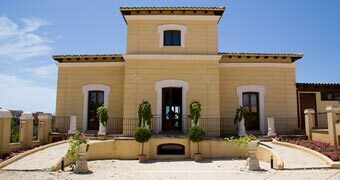 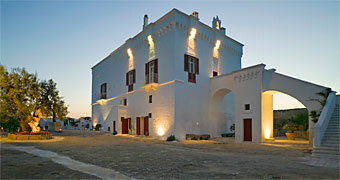 Palazzo Guglielmo is an historic house situated in the town of Vignacastrisi, less than 3 kilometers away from the sea and beaches of Salento. 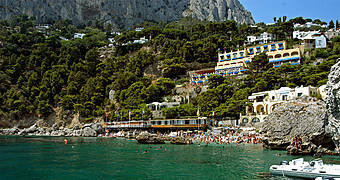 Looking for a hotel on Capri right on the water? 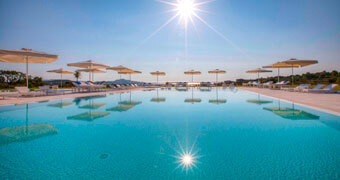 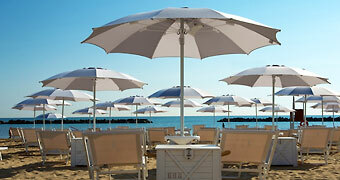 Relais Maresca is a 4 star right on Marina Grande, the island's largest beach. 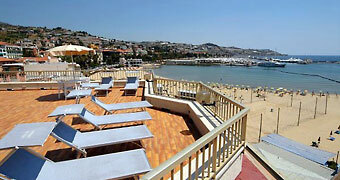 Just steps from the port and you are in your room with a view! 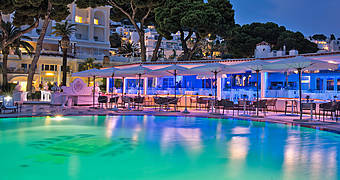 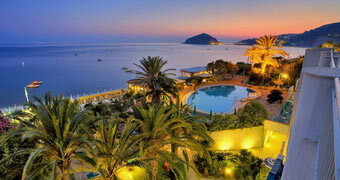 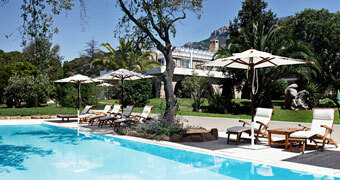 Villa Marina Capri Hotel & Spa: luxury and culture in a stylish Capri villa dating back to the early 20th century. 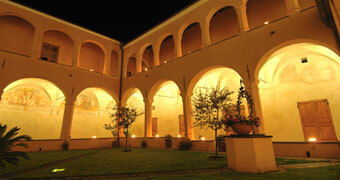 Tuscany's Locanda al Colle is a luxury guest house located between the ancient Via Francigena and the sea of Versilia. 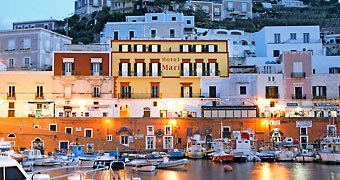 The perfect choice for those keen to get a taste of life in the heart of Ponza, Hotel Mari is located overlooking the island's harbor and just steps away from the buzzing Piazzetta. 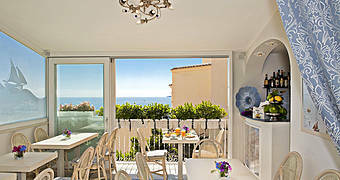 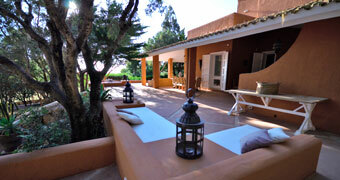 Looking for an intimate and luxurious B&B by the sea? 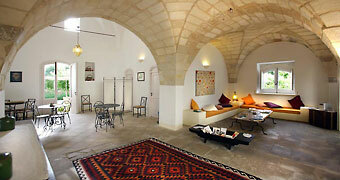 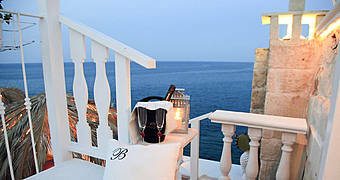 You can stop, because we've found it - Bellavista Suite, in Monopoli! 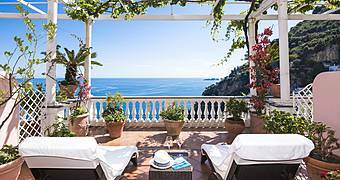 Tucked away from the crowds, enjoying amazing views of the Bay of Giardini Naxos and Mount Etna, Hotel Villa Ducale is the most peaceful and panoramic property in Taormina! 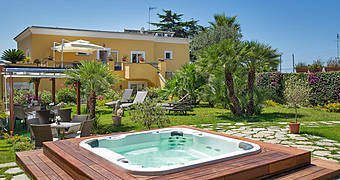 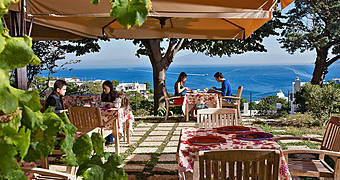 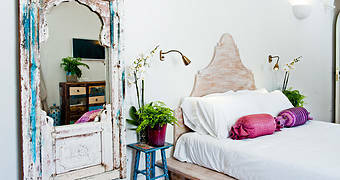 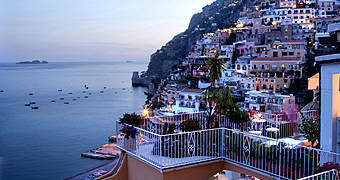 The perfect Puglian love nest, every inch of Peschici's cliff edge B&B Gli Orti di Malva has been designed for romance. 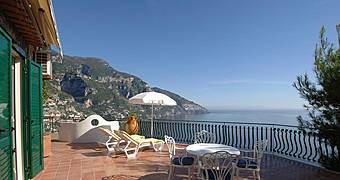 At Villa dei D'Armiento, a splendid Art Nouveau-style residence transformed in exclusive villa, guests enjoy the traditional hospitality of the Sorrentine Peninsula combined with world class service and facilities. 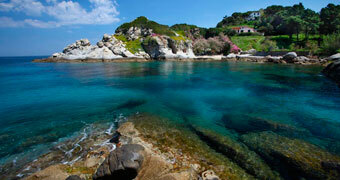 By the sea and in the country: in western Sardinia you get two holidays rolled into one! 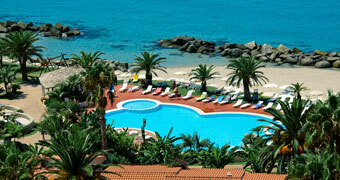 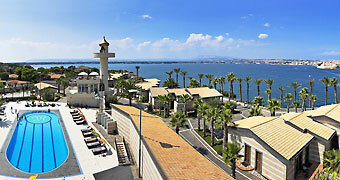 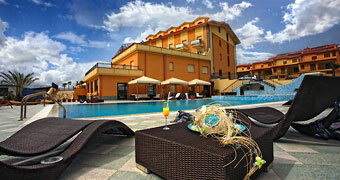 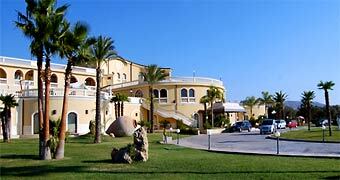 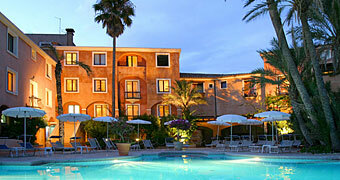 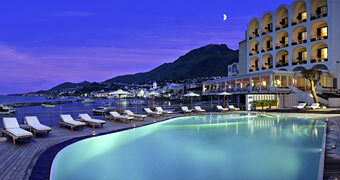 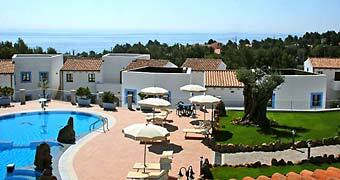 The Ambassador Weber Hotel is a four-star luxury hotel, just steps away from the beach of Marina Piccola. 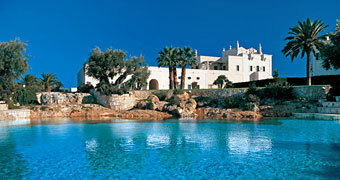 From the San Domenico Golf Course, one can already catch a glimpse of a red tower in the distance: the Masseria Cimino. 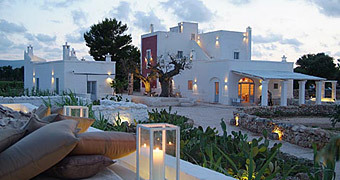 Contemporary design and traditional hospitality within steps of the sea: Puglia's Giovì Relais, a unique bed & breakfast with spa and, if you want it, even an in-room iPad! 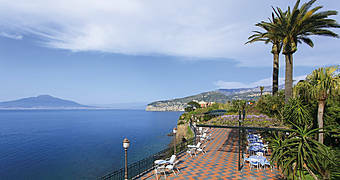 Sorrento's Grand Hotel Cocumella has been one of the most luxurious and prestigious hotels on the coast since 1822. 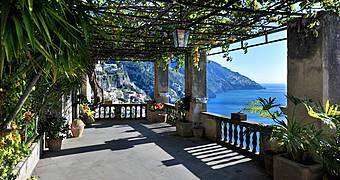 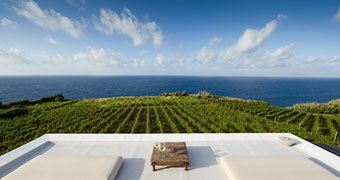 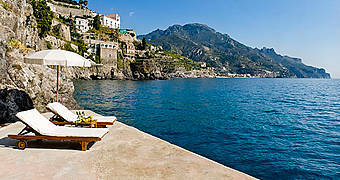 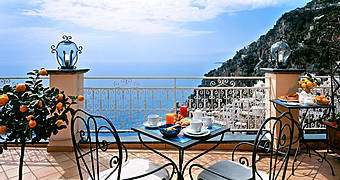 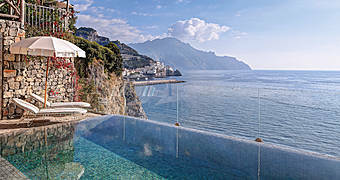 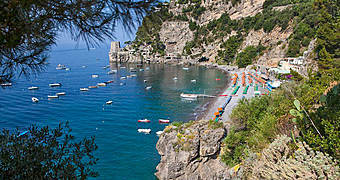 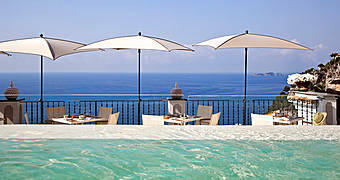 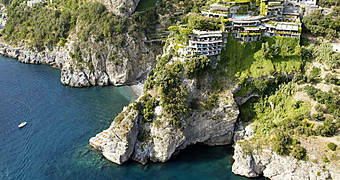 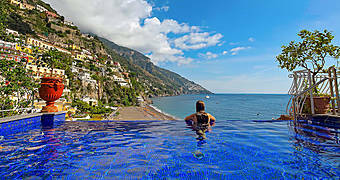 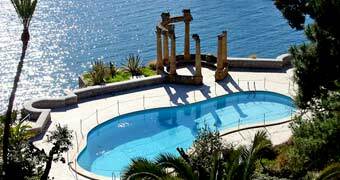 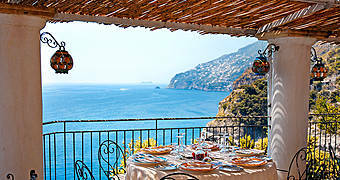 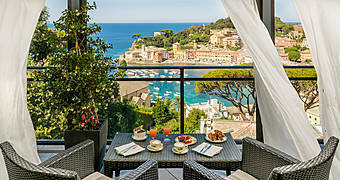 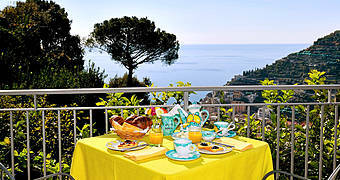 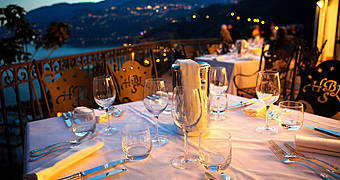 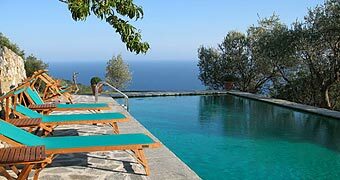 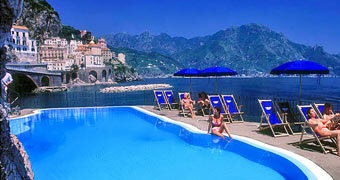 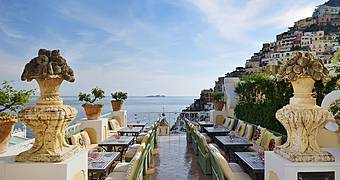 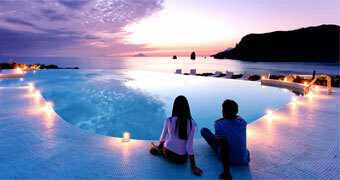 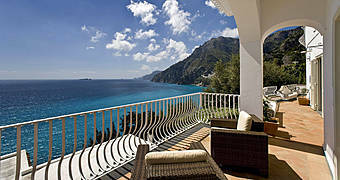 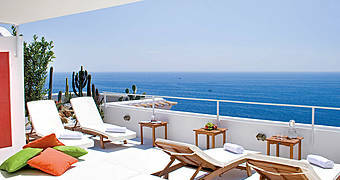 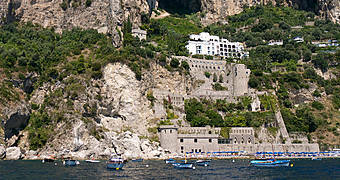 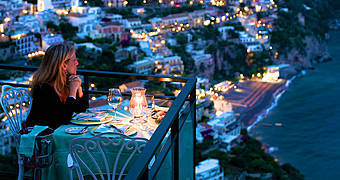 Relais Blu: panoramic luxury on the cliffs where the Sorrentine peninsula and the Amalfi Coast join. 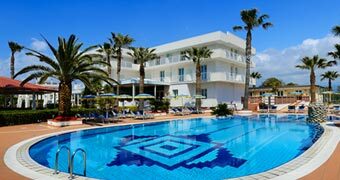 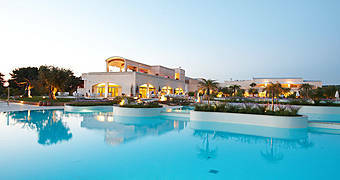 A brand new 4 star superior hotel, with pool and typical restaurant, within steps of the beaches and the Sardinian Sea: the aptly-named Paradise Resort Sardegna! 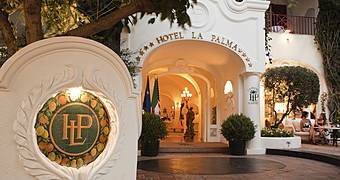 Since 1822, Hotel La Palma has been the preferred destination of visitors from across the globe who want to experience the magic of Capri. 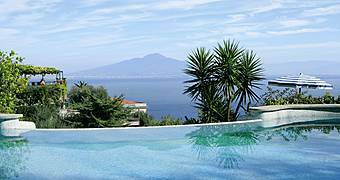 The place where it is said that the Roman Emperor Augustus had a beautiful villa with magnificent views of Vesuvius and the Bay of Naples. 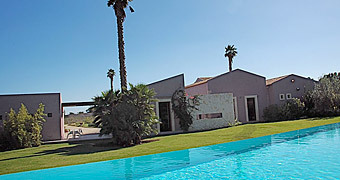 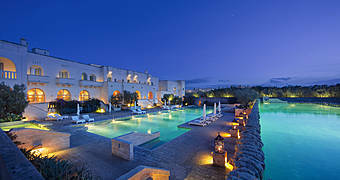 Masseria San Domenico is elegant hotel, a luxurious spa and golf resort, a unique sea edge property in which to experience the very best of the region's hospitality. 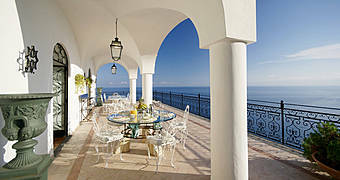 Luxury amenities, gourmet cuisine, fine art, and the island's only curative spa. 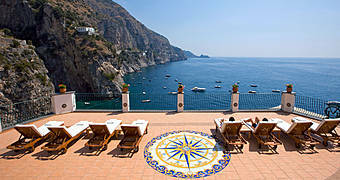 Welcome to Capri Palace Hotel in Anacapri. 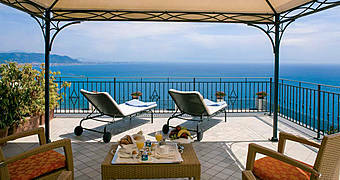 Looking for luxurious suites, Michelin starred cuisine and an infinity pool with view of the Bay of Naples? 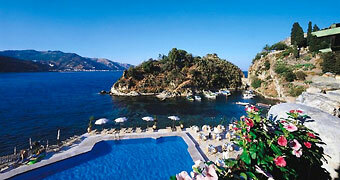 We've found the lot - at Grand Hotel Angiolieri! 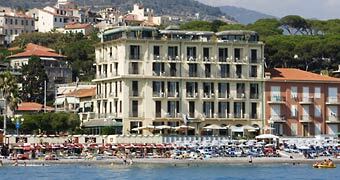 Hotel Bellevue Syrene occupies a historic aristocratic residence, combining the history of Sorrento and the charm of Italy's coast. 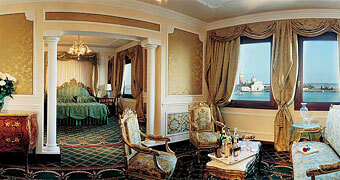 Overlooking the Grand Canal, Venice's Hotel Gritti Palace is one of the world's finest luxury hotels. 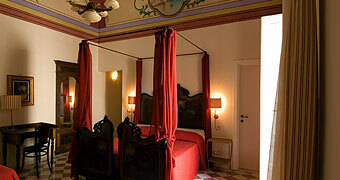 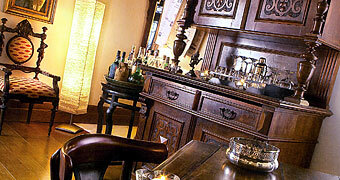 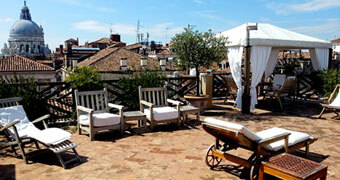 Locanda Ca' Vele offers the perfect combination of old world charm and modern hospitality, in the heart of Venice. 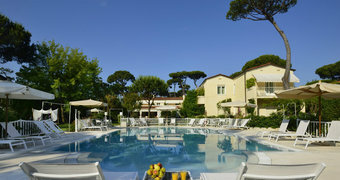 Effortless luxury and authentic Tuscan hospitality: the timeless appeal of Forte dei Marmis Hotel Villa Roma Imperiale. 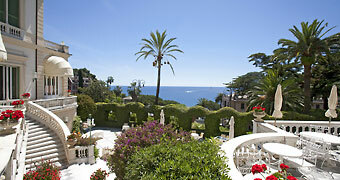 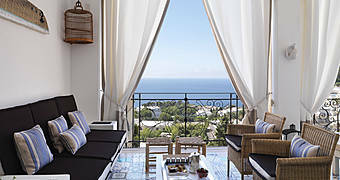 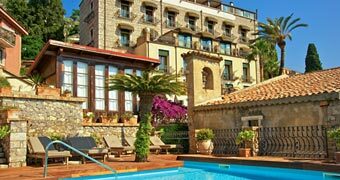 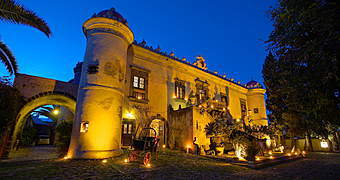 A centuries-old Sicilian residence, facing the sea and the smoking slopes of Mount Etna: Hotel Villa Carlotta, Taormina. 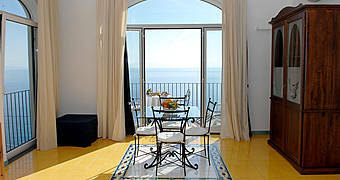 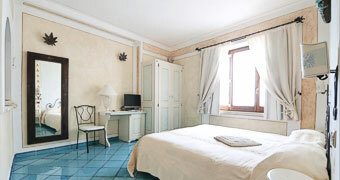 A superb position right in the heart of Sorrento, in the main square Piazza Tasso. 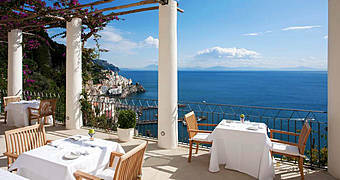 Located in the heart of Sorrento, Palazzo Abagnale is a stylish boutique hotel inspired by 20th century art and design. 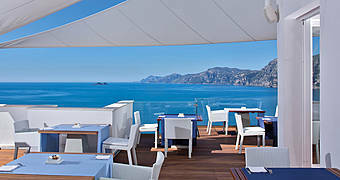 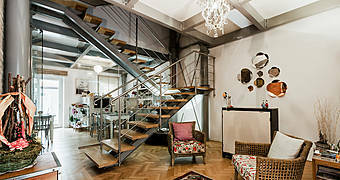 Vico Equense's Cubo Apartments: cutting edge design, state-of-the-art technology and fusion food, in the Bay of Naples. 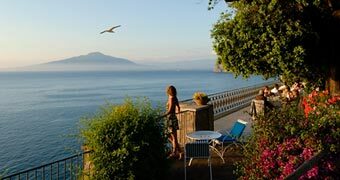 A holiday in an old monastery, within the walls of Ischia's Castello Aragonese: a vacation to remember, at Albergo Il Monastero. 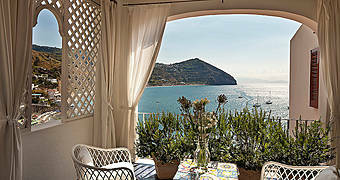 Intimate, sunny, elegant, Maison de Charme Villa Margherita is a gorgeous Mediterranean retreat in the fishing village of Sant'Angelo, within steps of the sea surrounding Ischia. 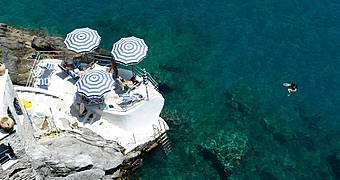 Luxurious rooms, amazing cuisine, superb spa facilities and the crystal clear sea washing the Bay of San Montano, together make Mezzatorre Resort & Spa one of Ischia's most sought-after hotels. 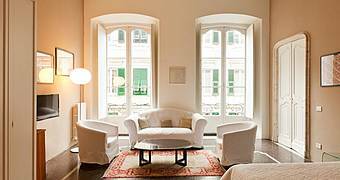 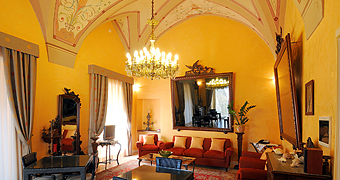 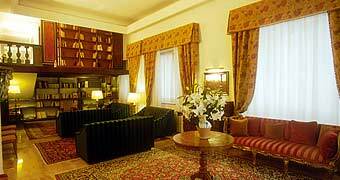 The hotel restores life to the eighteenth century Palazzo D'Anna-Petrarolo, in the heart of the town centre. 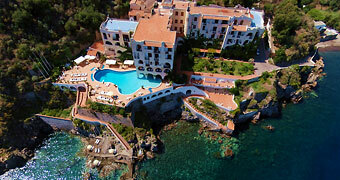 An exclusive resort hotel with Michelin starred restaurant, wellness center, and private beach, Il Pellicano is as close as you can get to paradise in Tuscany. 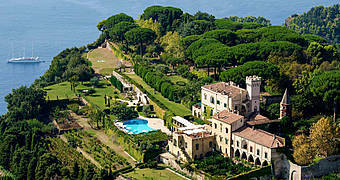 The onetime home of aristocrats and millionaires, La Posta Vecchia is now a unique coastal retreat for connoisseurs of contemporary luxury. 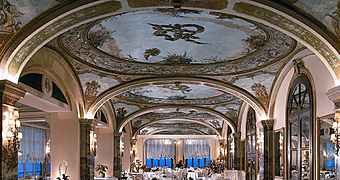 Luxurious accommodation, impeccable service and a dream location have made the Bauer a favorite of artists and royalty for generations. 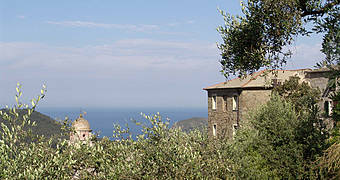 Typical Mediterranean architecture lazily encircled by the sea and overlooking a flowering garden. 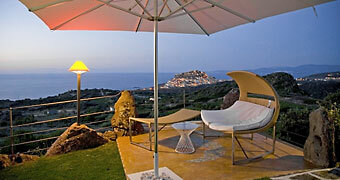 The Hotel Signum is as unique as Salina; the greenest of the Aeolian Islands. 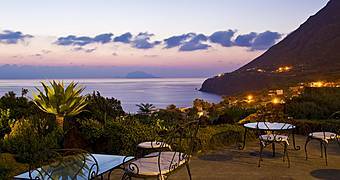 Capofaro Malvasia & Resort: cottages in the typical Aeolian style, flat roofs, white stucco walls, and columned terraces shaded by woven cane mats, located in Salina, Aeolian island, Sicily. 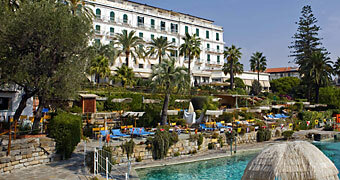 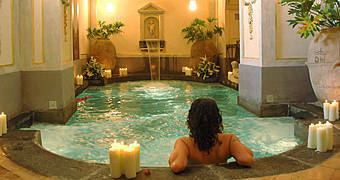 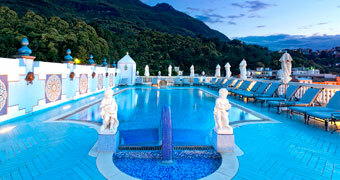 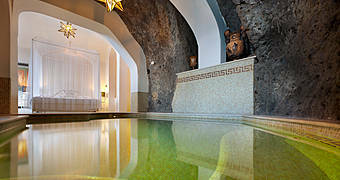 Fans of the sun and sea wishing to experience Ischia's legendary thermal waters will love Hotel Parco Smeraldo Terme. 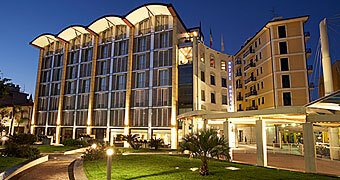 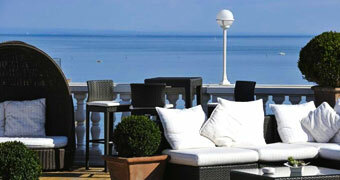 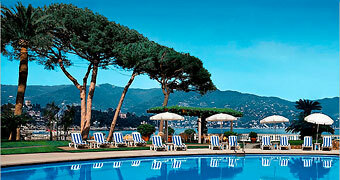 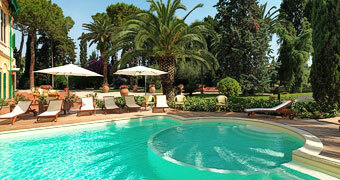 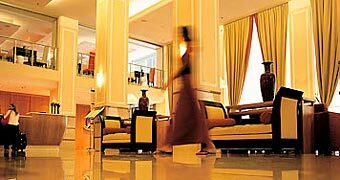 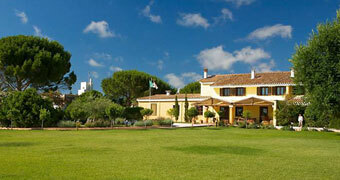 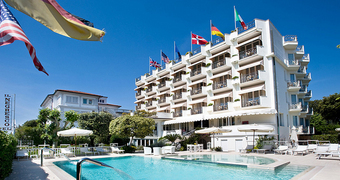 Il Negresco is a prestigious 4 star hotel on Forte dei Marmi's elegant seafront. 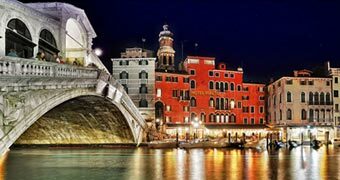 Venice's Hotel Giorgione is a historic property, in the heart of the Cannaregio district and just five minutes away from the Rialto Bridge. 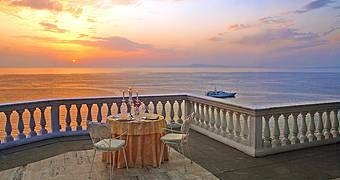 The Grand Hotel La Medusa is a luxury villa surrounded by a stunning estate which overlooks the mountains and the Gulf of Naples. 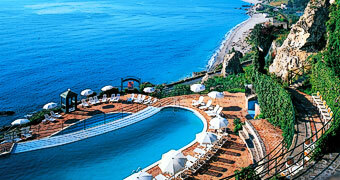 Glamorous and elegant Grand Hotel Royal lies on a cliff top location overlooking the sea, in the heart of Sorrento. 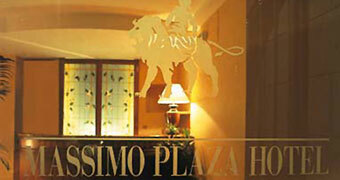 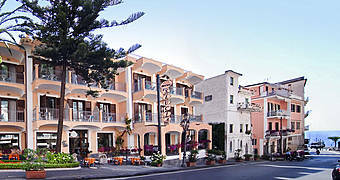 A few steps away from the centre of Sorrento lies the elegant panoramic hotel Grand Hotel Ambasciatori. 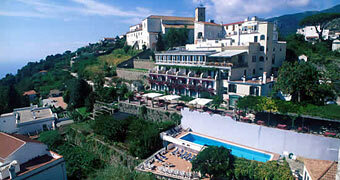 The epitome of Mediterranean elegance, Grand Hotel Capodoimonte is one of Sorrento's finest 4 star establishments. 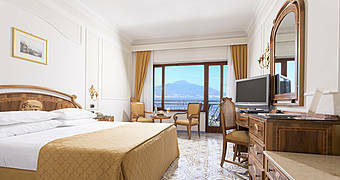 Set in gorgeous subtropical gardens, with marvelous views of the Bay of Naples, Grand Hotel De La Ville is one of Sorrento's most-loved establishments. 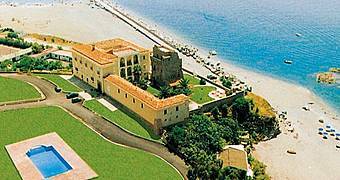 A 19th century royal retreat, just outside the old town of Alghero, is now home to the outstanding Villa Las Tronas Hotel & Spa. 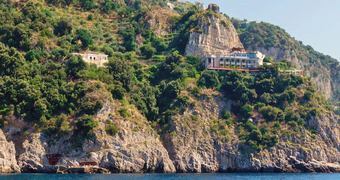 Sumptuous suites, Michelin-starred restaurants and, of course, a spectacular spa: if you're looking for luxury on the island of Ischia, Termi Manzi ticks all the right boxes! 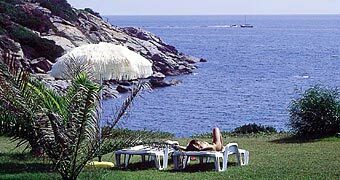 An elegant hotel in traditional Sardinian style, Hotel Nuraghe Arvu Resort is situated in Cala Gonone on the Gulf of Orosei. 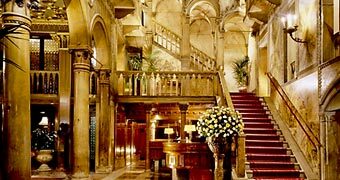 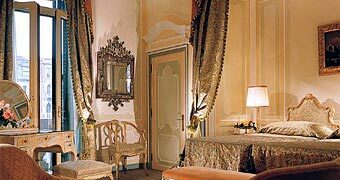 Ca' Sagredo: the sumptuous residence of the Venetian aristocracy, recently transformed in exclusive, luxury hotel. 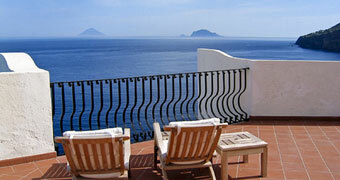 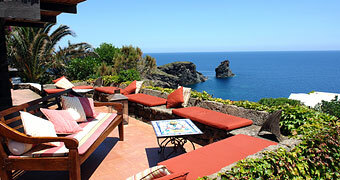 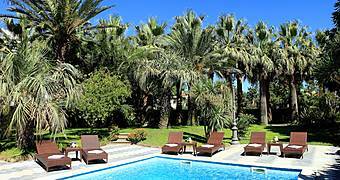 The Ossidiana is welcoming hotel situated between the sea and the volcano of Stromboli. 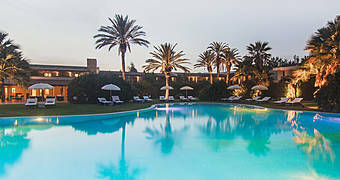 Guests staying at Sardinia's Hotel Club Saraceno enjoy both the comforts of a traditional hotel and all the facilities of a full-scale, seaside holiday resort. 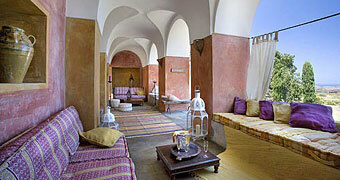 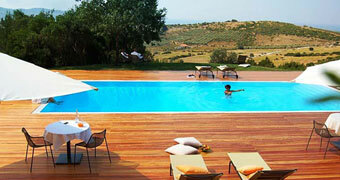 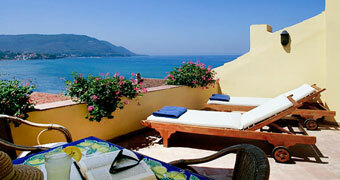 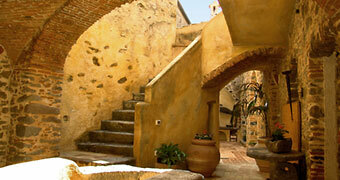 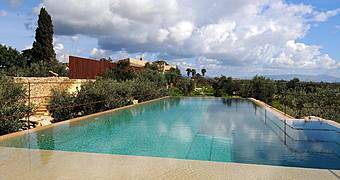 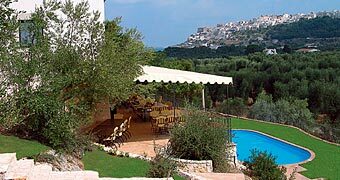 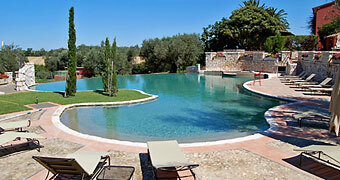 La Pecora Ladra: a resort situated between the Coast of the Etruscans and Tuscan Maremma. 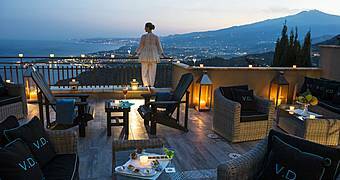 Situated at the foot of the town of Castelmola, just minutes from the magnificent coastal city of Taormina, Hotel Villa Sonia is an intimate Sicilian retreat with spectacular views of Mount Etna. 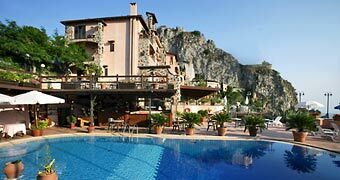 In the main piazza of Orosei, Hotel Antico Palathos is the perfect choice for a vacation surrounded by the sea, mountains and ancient traditions of Sardinia. 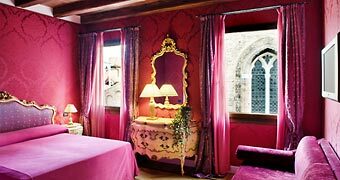 The charm of the bed & breakfast Bloom is created by the seductive combination of sumptuous décor, inspired by 18th century Venice, and exclusive contemporary design. 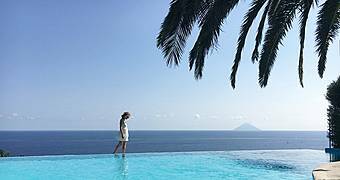 At Hotel Punta Scario, the heartfelt hospitality of the islanders of Salina combines with the beauty of the Aeolian islands and the crystal clear sea of Sicily. 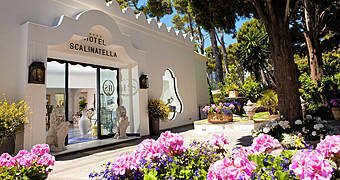 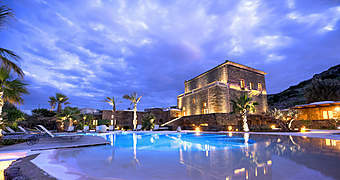 Malfa's Hotel Ravesi is one of the oldest hotel's on Salina, arguably the most enchanting of Sicily's Aeolian island's. 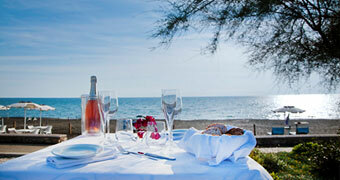 A beautiful beach and regenerating thermal waters, faultless contemporary design and superlative local cuisine. 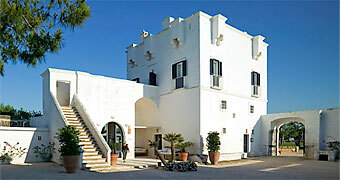 No wonder San Giorgio is one of the Ischia's most sought after hotels! 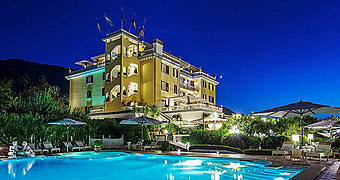 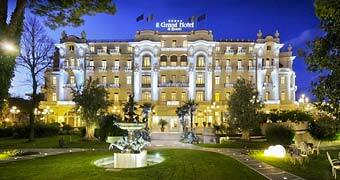 At Pesaro's Hotel Excelsior, stylish accommodation, excellent wellness facilities and unforgettable gourmet cuisine all lie just steps away from the sea of the Riviera Adriatica. 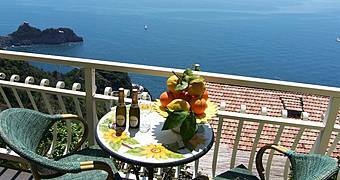 Traditional Sicilian hospitality, delicious Aeolian cuisine, and the warm Tyrrhenian sea, all this in the shadow of the crater which gave the island of Vulcano its name. 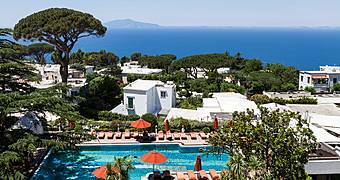 In Anacapri's Caprisuite, modern design and centuries-old Mediterranean architecture meet to produce the ultimate island hideaway. 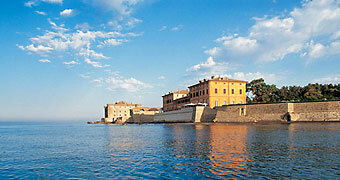 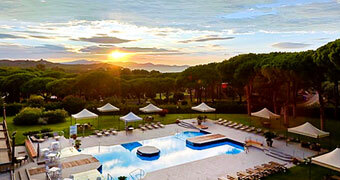 Looking for a luxury resort with private beach and golf course on the island of Elba? 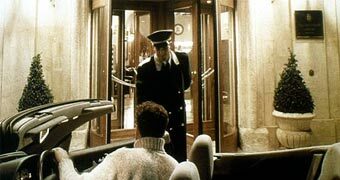 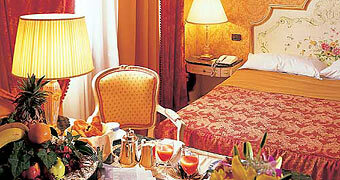 You'll love Hotel Hermitage! 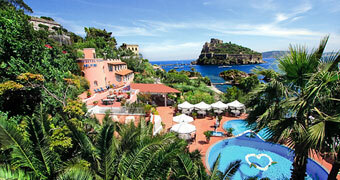 Why stay in a hotel on Ischia when you can stay in your very own luxury apartment? 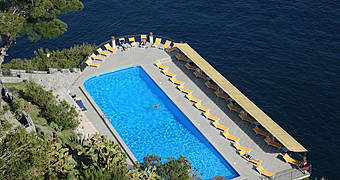 Book Ischia Blue Resort and get ready for a holiday of a lifetime on this, one of the most beautiful of Italian islands! 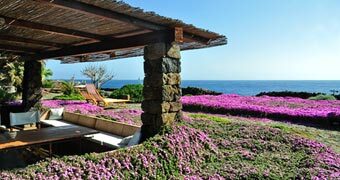 The beautiful bay of Asinara, the magical medieval town of Castelsardo and the contemporary chic of Sardinia's 4 star superior Bajaloglia Resort. 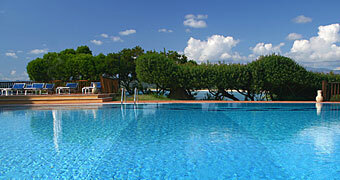 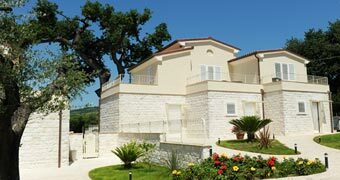 Fully serviced holiday apartments overlooking the pool and park, within minutes of beach and the Adriatic sea. 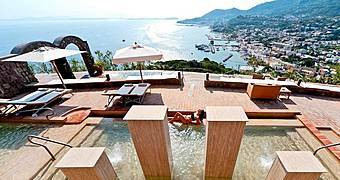 San Montano Resort & Spa in Lacco Ameno on the island of Ischia is the ideal spot for a luxury getaway, with a thermal pool, excellent cuisine, and gorgeous landscapes and sea views. 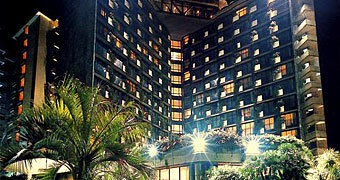 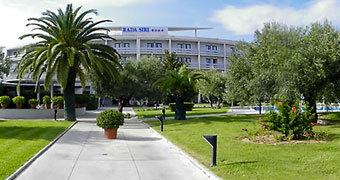 Was created in 1958 and, since then, all the choices have been characterized by he aim at excellence. 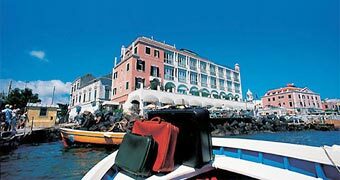 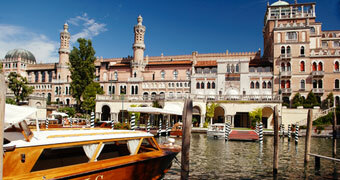 Boscolo Hotel Bellini: 18th century luxury on the Grand Canal. 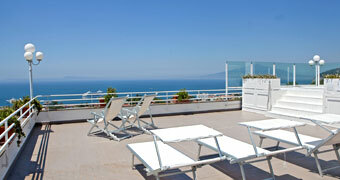 An elegant patrician villa offering a spectacular view of the Messina Straight and Calabria. 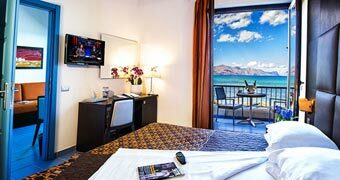 The Hotel Monte Tauro overlooks the Sicilian sea and offers a view that spans all the way from the Gulf of Naxos to the Etna. 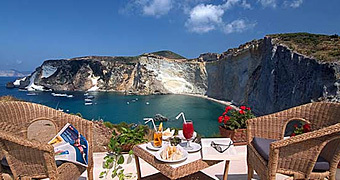 On the island of Ponza, the Grand Hotel Chiaia di Luna lies in a natural amphitheatre, just meters from the sea. 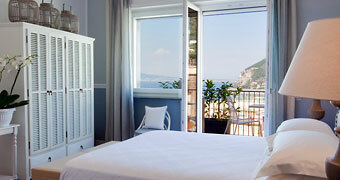 Fancy staying in a stylish room with unforgettable view of the beach and bay of Chiaiolella? 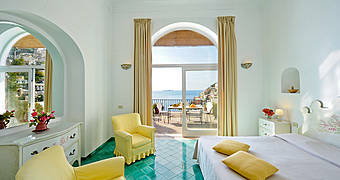 You're going to love Procida's La Tonnara! 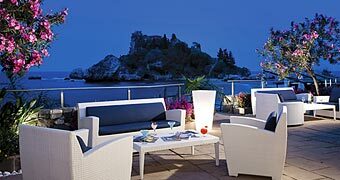 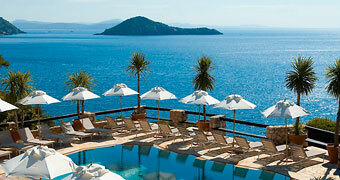 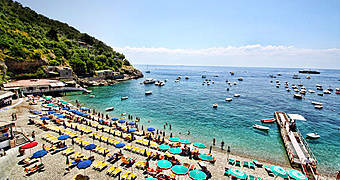 Hotel La Plage is an elegant hotel situated on the beach in Taorminas enchanting bay of Isola Bella. 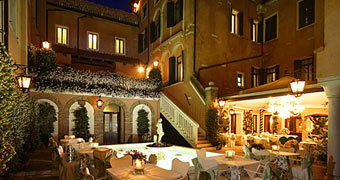 A wonderfully romantic hotel in an enviable location right next to Venice's Rialto Bridge. 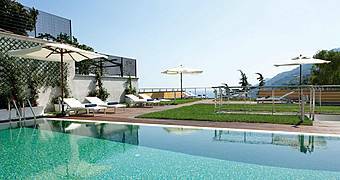 Towers Hotel Stabiae Sorrento Coast is a modern hotel offering the latest in contemporary design and technology, surrounded by the dramatically beautiful land and seascapes of the Sorrentine peninsula. 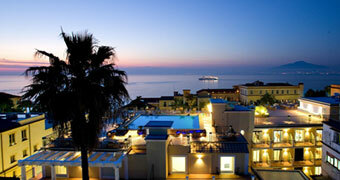 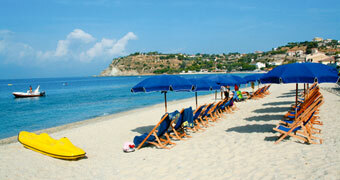 RG Naxos Hotel is a superb property situated on the beach of Giardini Naxos. 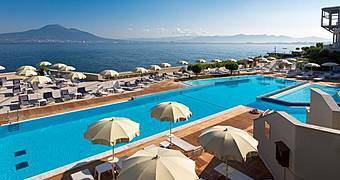 At Ischia's Delfini Strand Hotel Terme luxury is an enticing mixture of effortless Mediterranean elegance, Baroque flamboyance, impeccable cuisine, superb spa treatments and the sea. 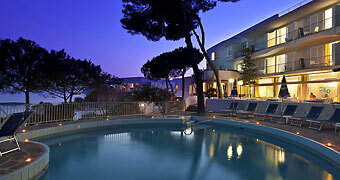 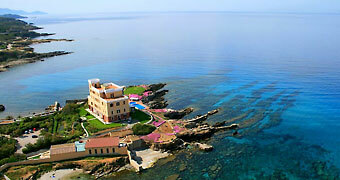 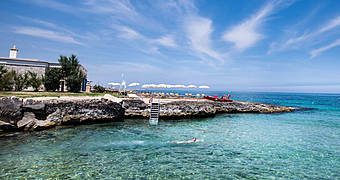 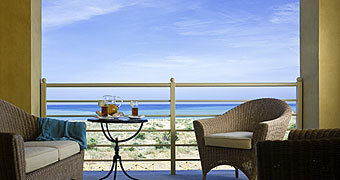 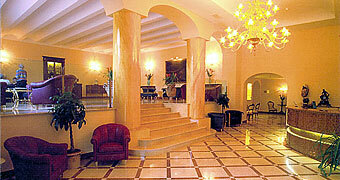 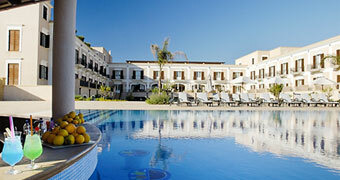 At Santa Maria di Leuca's Grand Hotel L'Approdo guests stay in bedrooms overlooking both the Ionian and Adriatic sea. 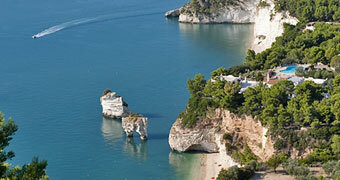 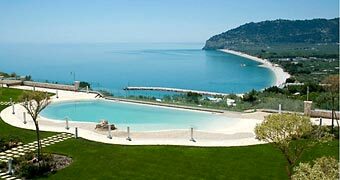 A family break, a romantic weekend, good food, the sea of Gargano: all this and more at the Gattarella Resort. 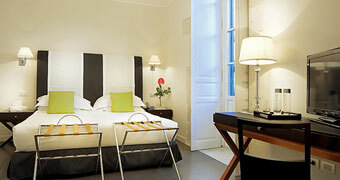 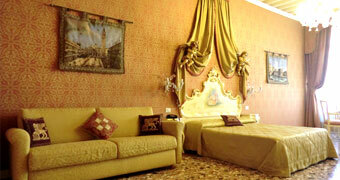 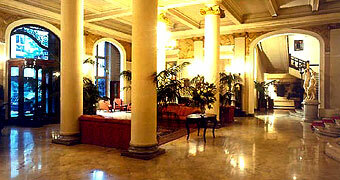 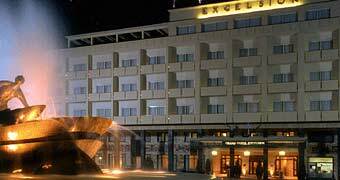 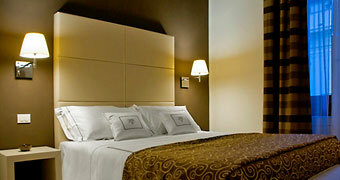 The Excelsior Grand Hotel is situated in Catania's historic centre. 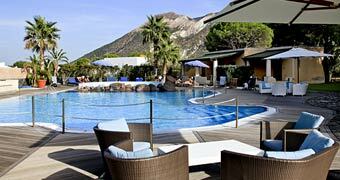 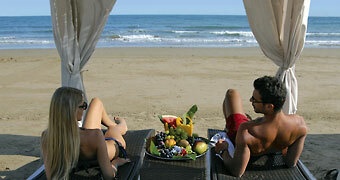 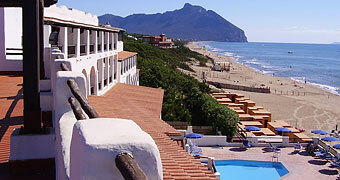 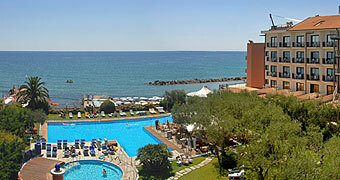 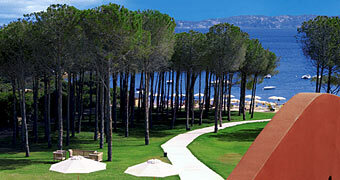 Hotel Le Dune provides a relaxing holidays in the heart of the National Park of Circeo, only 50 minutes south of Rome. 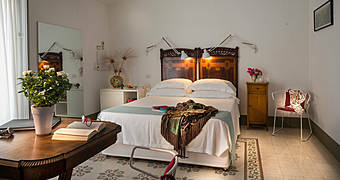 A charming combination of traditional and modern furnishings, excellent cuisine, and luxuriant gardens make Hotel Ilio of Capo Sant'Andrea the island of Elbas most romantic boutique hotel. 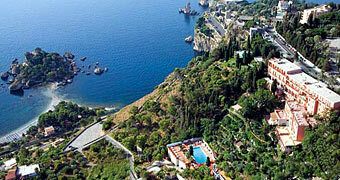 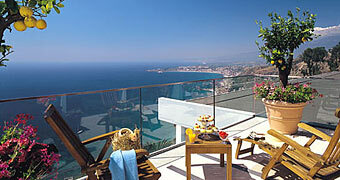 The new hotel rises out of the rocky cliffs that slope down to the sea, with breathtaking views of Taormina Bay. 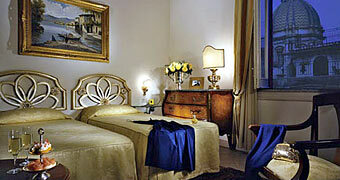 Hotel Saturnia History & Charme is situated in Via XXII Marzo, one of the most important streets of central Venice.